Many of the customer-first businesses today are leaning more and more towards mobile apps for expanding their business. And why shouldn’t they? It’s been recorded that users spend 90% of their time interacting with one or the other mobile app as compared to surfing on the internet. This suggests that there is more scope of expanding a business using a mobile marketing strategy and businesses must consider developing a mobile app if they haven’t considered yet. Firstly, businesses need to understand that building an app is a well-defined step that should serve some fruitful purpose. Just because your competitors are creating the app, that doesn’t mean you too create one. It should be in-line with your business strategy first. Create a Roadmap: Break your entire app into small components and execute one at a time. It will not only help your team members to stay on track but also keep a record of your well-defined strategy for your stakeholders. Allocate Budget: It should focus on operational costs, human resources, and capital required to complete the entire project within a set timeframe. Define Use Cases: A use case is a list of actions that define the interaction of a user with the system/app. The less the number of use cases, the better is your app strategy. This is so because your goal should be providing less number of functionalities and acing it; rather them overwhelming them with several different functionalities. Target Audience: Consider filtering your target audience based on their age, gender, needs, and demographics. This should create a well-defined target audience for your business. Define KPI: Key Performance Indicators are often used to indicate what value your app offers to the business and also it helps in setting realistic goals for your app. Prototype: Prototype shows how your actual app will look like. It is in the best interest to create one in the early stages of mobile app design. Experts suggest on creating low-fidelity prototypes to save time, money and efforts. For example, Mozilla created several prototypes on paper and quickly selected the best user-interface amongst them. UI Design: User interface deals with the visual representation of the app like color schemes, font type and size, buttons, images, and forms. Consider testing several UI designs and finalize upon the one that will work best for your target audience. Animation: Animation refers to how your app interface will work when a certain action is performed by the user. For example, how will the pop screen appear on the app, or how will the gestures work; all this is defined by your interface animation. Consider testing the animation for your app too along with UI design stage. Development: This is the stage where actual coding begins. Make sure you are developing your app project from the best coders. There are two options available to you: That is, developing the app for both Android and iOS users, although, it is advisable to opt for only one in the beginning. The reason is simply that you can spend your entire budget on creating a fantastic app by the best coders instead of creating two not-so-good apps that lead you nowhere. Testing: The purpose of app testing is to ensure that your app will work fine in every scenario and to ensures that your users get a smooth experience, free from bugs while interacting with your app. There are several different phases of app testing like Functional testing, memory testing, performance, and security testing, usability, and interruption testing. Release: Now it’s time to release your brand new app in the app store and it takes time to get it reviewed and published. So, one must consider releasing the app accordingly. A mobile app design is a systematic approach. 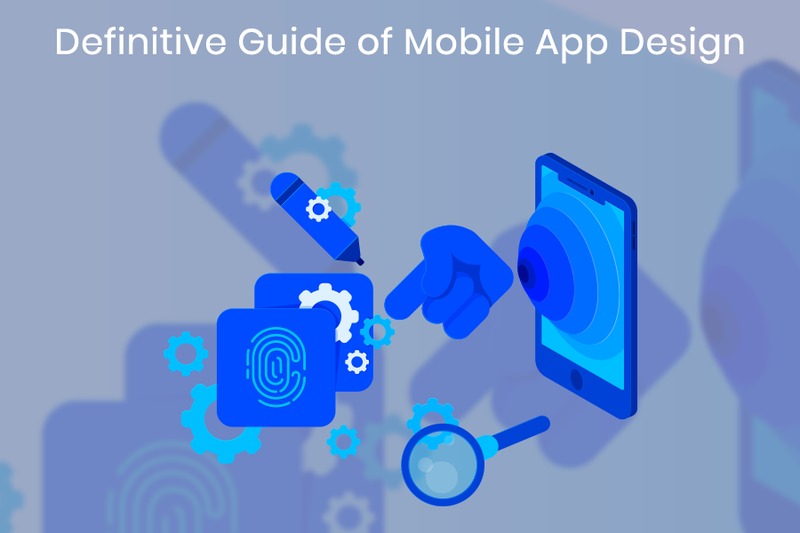 Follow all the necessary steps required to build a successful app design. It requires adequate time, expertise, resources, and planning.